Supports healthy body composition by helping reduce fat and promoting lean muscle mass. 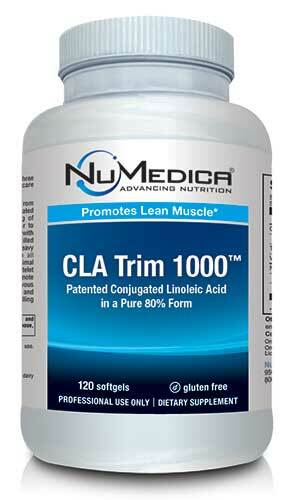 NuMedica CLA Trim 1000 is a powerful nutritional supplement that promotes lean muscle mass as it reduces body fat. 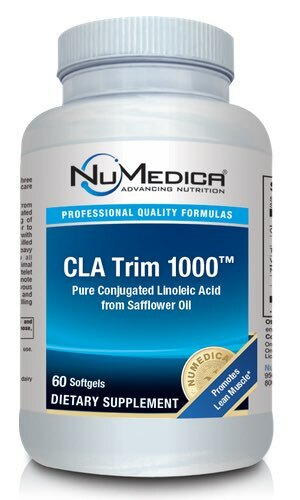 The active natural ingredient in NuMedica CLA Trim 1000 is a form of Conjugated Linoleic Acid (CLA) that is derived from pure, non-GMO safflower oil. This natural supplement can help you achieve your diet goals without sacrificing essential muscle mass. In addition, CLA also enhances your cardiovascular health and supports healthy blood sugar levels and metabolism. Safflower oil is the richest natural form of CLA. Although diet is the primary way to get CLA into our bodies, few people eat enough foods containing the optimum amount of CLA. A supplement, therefore, is ideal for ensuring that you are getting this healthy fat that provides so many great benefits. Typically people have gotten CLA into their diet from eating beef, but over the past several decades, changes in the cattle's diet have led to a reduction in vital CLA. This has caused many researchers to seek out other options for CLA like safflower oil. Safflower oil is rich in healthy, monounsaturated fat. This type of fat is essential to a healthy diet. Medical research suggests that monounsatured fats may help ward off heart disease. Whereas saturated fats contribute to unhealthy cholesterol levels, monounsatured fats reduce the level of bad cholesterol in your blood, which, of course, benefits the cardiovascular system. In addition, diabetic patients are often instructed to incorporate safflower oil into their diet for its ability to stabilize blood sugar levels. The CLA derived from safflower oil may also boost your body's immune system response, allowing it to more effectively ward away illness. Aside from its ability to reduce fat and promote muscle mass, CLA may also complement bone health and even lower triglyceride levels. Other Ingredients: Gelatin, vegetable glycerin, natural caramel color, purified water. CLA extracted from safflower oil employing patent process #5,428,072. 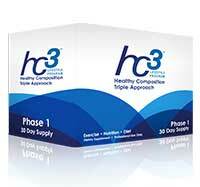 Powerful carb and blood sugar controller that provides comprehensive glycemic and metabolic management support.